Happy Friday! 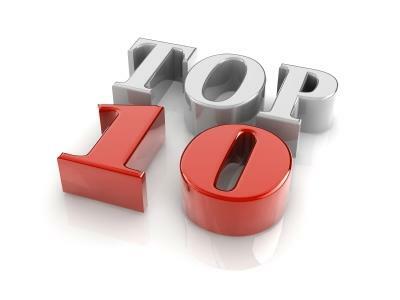 With the weekend within reach, check out our run-down of the top ten most popular articles on Pharmafile.com this week, including Keytruda's liver cancer failure, a "game-changing osteoasrthritis treatment, AstraZeneca's retirement of the MedImmune brand, and the promise of the first new asthma pill in two decades. Poland and Slovenia have been deemed capable of carrying out Good Manufacturing Practice (GMP) inspections at an equivalent level to the United States. MSD has revealed new Phase 3 data which indicates that its blockbuster immunotherapy Keytruda, in combination with best supportive care, failed to meet its primary endpoints in advanced liver cancer. Boehringer Ingelheim and Eli Lilly’s Trajenta (linagliptin) met its primary endpoint in a recent trial, it has emerged, proving itself non-inferior to glimepiride in its ability to prolong the amount of time before the first occurrence of cardiovascular (CV) death, non-fatal myocardial infarction or non-fatal stroke in type 2 diabetes patients. Intercept Pharmaceuticals has publicised promising new data on the efficacy of Ocaliva (obeticholic acid) in the treatment of liver fibrosis due to nonalcoholic steatohepatitis (NASH), sending the company’s shares up by 32%. Pfizer is set to overhaul the dosing groups in its ongoing study of Xeljanz (tofacitinib) after an evaluation from a Rheumatology Data Safety Monitoring Board (DSMB) highlighted safety concerns in the higher of the two doses. A novel and potentially “game-changing” oral therapy for the treatment of osteoarthritis (OA) has received a £675,000 cash injection from Innovate UK. China is set to establish a national collaborative network of hospitals for rare disease diagnosis and treatment to promote early detection and effective treatment of rare diseases. Lundbeck and Otsuka’s treatment for bipolar disorder, Rexulti, failed to achieve its primary endpoint in two separate Phase 3 trials. AstraZeneca is retiring the MedImmune brand as part of a restructuring that will see biologics integrated into two new R&D units. Researchers at the University of Leicester alongside colleagues in Vancouver, Canada, have revealed data that supports the efficacy of an investigational pill for the treatment of asthma. The oral, selective prostaglandin D2 receptor antagonist, known as Fevipiprant, is the first of its kind for two decades.